Meet the LUG! We haven’t done one of these introductory posts for a while, so this ones a doozy! Oh… and there’s a rare Minifigure give-away for those of you who just want to scroll to the end!!! Hi my name is Luke and I’m addicted to Lego. Hi my name is Jade and I’m addicted to Lego. Now you have to believe we didn’t always start out this way. You also have to know that this wasn’t always our fault. Introducing a child to Lego was a casual thing when we young, being renowned as a brand you could trust also made it virtually impossible to avoid. Year after year, more and more of it appeared. That luckiest of gifts from friends, relatives and even our parent’s – all of whom could not resist the lure of a guaranteed happy smile from the receiver, mirroring their own. Did they ever once stop to think that such a tactile and sensory experience coupled with some three-dimensional mind-expansion was really appropriate at such a formative period in life? That all this kinetic play-potential and free-building wouldn’t eventually ricochet back into the public consciousness riding on a tidal-wave of nostalgia of the like this world has never seen? As children we reveled in the freedom Lego provided to become anything we wanted it to be. Little knowing those countless hours of imaginative construction had irrevocably altered our young, malleable minds. This implicit free-play only bound by a vague, ephemeral concept known as ‘limited family income’. Lego wasn’t just a toy, how could they be so naive to expose us so? It augmented and shaped our play, letting us build cars, homes or even whole new worlds for the other toys and life outside our Lego collection. Becoming castles, teapots, towers, lightsabers and more… Especially as the Lego brand itself expanded into themes of Town. Castle. Space. Pirates. Fabuland! Lego mattered, it was everywhere, and it was fun. All too soon the Brick that had embedded itself into our lives, minds and feet was packed away. We still can’t remember why. A rogue brick trampled too soon after a punitive room-clean maybe, or the seductive lure of 16-Bit Sega Mega-Drives and Rock ‘n’ Roll music. Thus came our Lego Dark Ages. And so it was on a heady Summer day out visiting friends and their working Air Conditioner, that we first noticed a familiar glint in their eyes. It was also too hot for such reckless smiles:- something was up. Our interest piqued. Especially as they lost all composure while gushing: ‘We bought a few sets and keep a few minifigures on our desks at work,’ they beamed. ‘And it’s never boring if you have some imagination as you can reuse the parts to create some cool art you’ve actually built yourself, and even then you can break it down and rebuild it you feel like something different’. For a couple of 20-somethings with no Air-conditioning (and possible heatstroke), this was just too tantalizing not to try out… Plus with the weather peaking at 44 Celsius we all had nothing better to do that day! In a surprising twist, Jade cheekily revealed she had never stopped playing with Lego, at least not in Adult company. Of course with an innate ability for Child Care and development in her working life, the Lego Bricks were always only a box away. Just another excellent option in her bag of tricks that kept the kids entertained, stimulated and engaged. From building specific objects for role play – to calming the minds of the more active little geniuses under her care. Of course she loved Lego! Likewise Luke also held a secret: he had been following the Lego exploits of several ‘brick blogs’ for years! 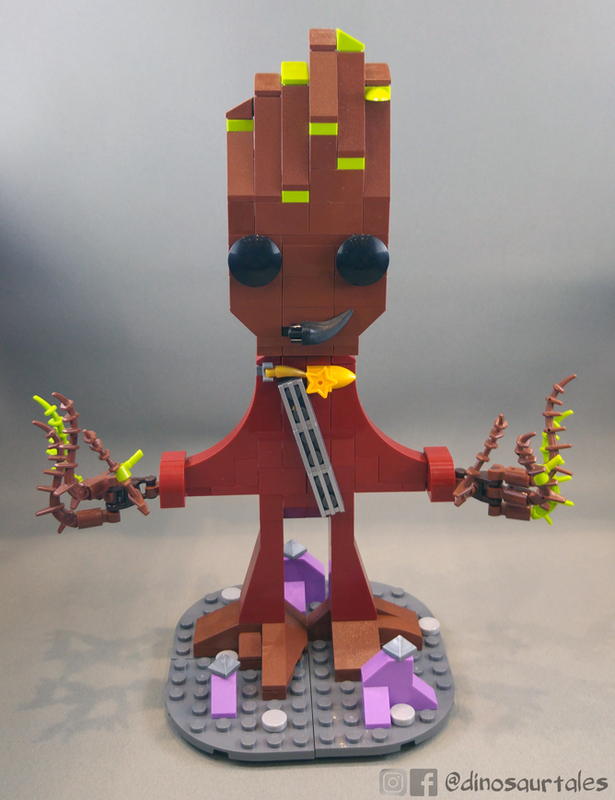 Mainly to pass time during the lunch ‘breaks’ of his IT Helpdesk – usually between the first and third system outage – by scrolling in awe at amazing community creations or just to catch a stop-motion Brick-film. It was also a chance to look towards that time he would become a parent, helping his children build a set together or dreaming about patchwork Lego city developments (created only to be destroyed by a rampaging-multi-coloured-brick-built robot from Outer SPACE!). The wise words of our Friends resonated within us. “Don’t worry,” they had said. 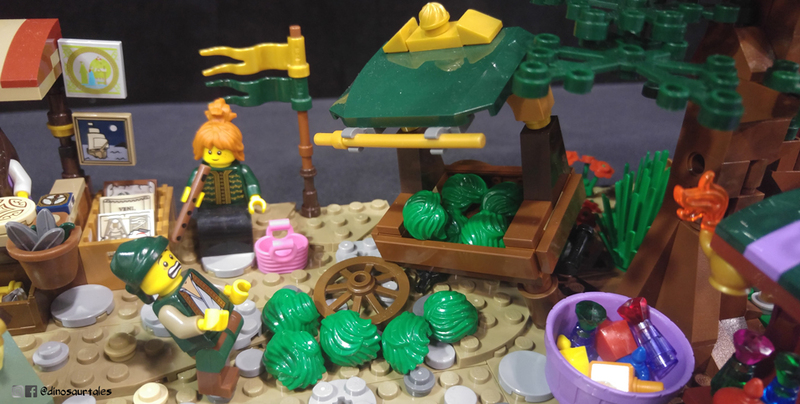 “Sure there’s people on the fringe that go overboard with the hobby, just keep it to a battle pack or a small kit, perfect for a rainy day afternoon.” An opportunity to play with Lego outside of work and enact on all that Internet Age-window shopping? The possibilities of epic Star Wars battles between work-cubicle dividers or free-build sessions where the only limitation is your imagination? Indiana Jones? Space Police? Ninjago? Where to start? Turning on the ‘lights’ and ending our ‘Dark Age’ we found there was a lot more to Lego now than we thought. 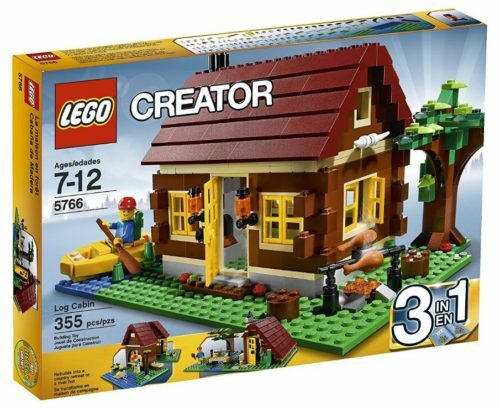 Jade gravitated towards a versatile Creator 3-in-1 Log Cabin set, with a couple of alternate builds plus some extra bricks for landscaping if she ever wanted to make a small nature scene. It was perfect. And it had a TREE! Right there on the shelf was Luke’s obvious prize: the Clone Walker Battle Pack. Four Phase I Clone Troopers, complete with bonus accessories. Of course there was also Darth Vader’s TIE Fighter Advanced just above it – so he grabbed that too because, well: Darth. Vader. Needless to say, we had fun! The builds were quick but personal as they were the sets we had chosen to build. The models better than expected, as was the quality of care placed into the user experience. Things had obviously come a long way since we were kids. Both of us amazed at all the new Lego pieces available as we trekked those familiar neural pathways mapped by our earlier selves. And putting our Lego on display at home it all clicked into place for us… These weren’t just static curios – only there to be admired, rarely touched – but interactive artwork that could be picked up and played at any time. 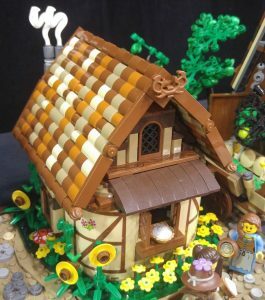 Minifigs would appear randomly about the house on adventures, and original models would be turned into something else entirely beyond recognition within weeks. When things would get tough in life, suddenly Lego was there to give us those precious Zen-like meditations away from everything. The cathartic nature of clicking a few bits of plastic suddenly wasn’t just a guilty luxury: it was therapy. So the shelves began to fill as we were surrounded by things we loved and took pride in. Early on in our collecting phase our favourite sets or themes seemed to compliment our interests perfectly as a couple, as parts from all over the Lego catalogue could be used in our different displays. 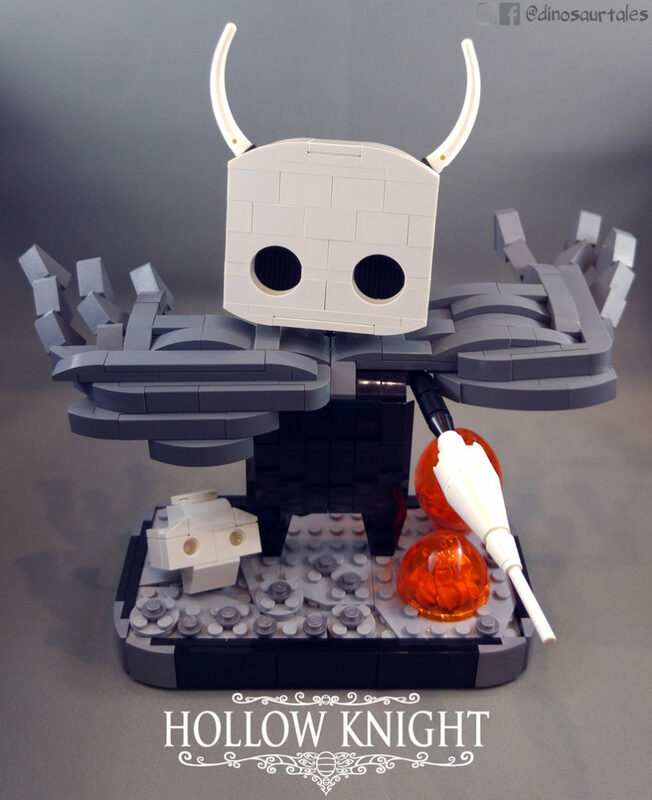 Today if we notice a particular piece, minifig or accessory would better suit our partner’s creation, we pass it on. If something we’ve built is especially noteworthy – or even outright offensive – we let each other know without bias. Think of an interesting way to rebuild something or add to our custom creations? We’ll workshop it, rushing off together to collect pieces from storage and researching it further online to perfect our techniques. We also tend to enjoy separate Lego themes so we usually aren’t competing for the same sets, and at the end of the day we both get to enjoy each others builds (as well as some great company). Renewed, refreshed and ready to build more, it was only a matter of time until we found more people like us. In time a fateful Facebook scroll one day led Jade to discover the famed Southern Bricks Lego User Group. 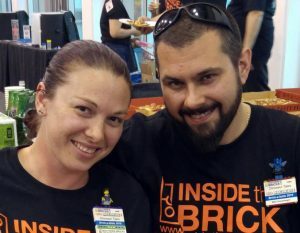 And on returning from her very first Lego-meet in June 2015 – as Luke honestly wasn’t ready to talk about Lego in Public yet – she detailed tales of ‘Iron Builds’, brilliant custom Lego builds and new sets on display. Above all she also met some great people, eager to chat about what being a Lego fan means to them. We added the next SBlug meet into our a calendar that afternoon, a quick raid of Luke’s parents for his old Lego hoard the day after, and haven’t looked back! 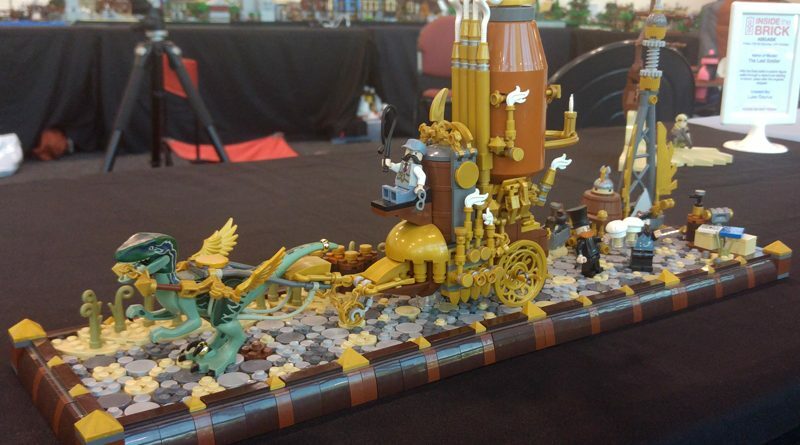 Today we find we can’t classify ourselves as anything but ‘MOC builders’ when it comes to Lego, and we love bringing our creations to exhibitions. We both love the Castle, Fantasy and Kingdoms themes so much we participated in massive 11.5 metre long Medieval Collaborative build for Southern Bricks. 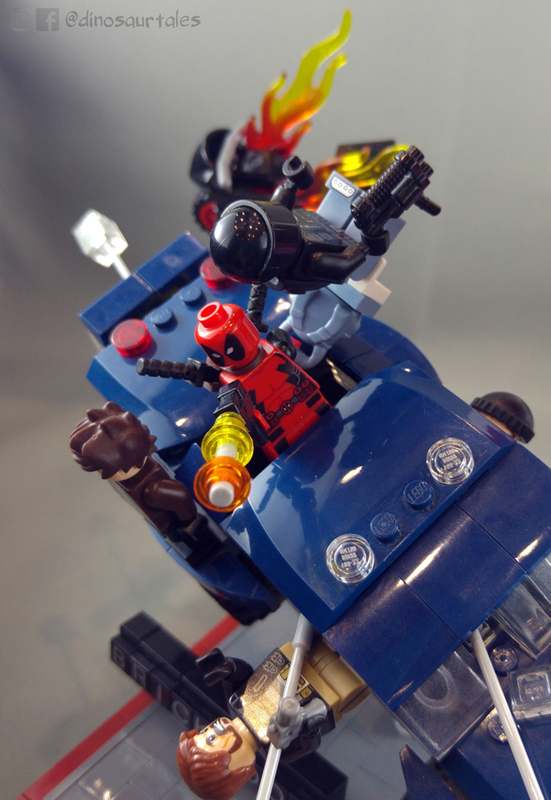 Luke still rabidly collects Lego Superhero and Star Wars minfigs, using them in small vignettes or battle dioramas to evoke his favourite moments from those two themes. Jade was also very happy with the recent Lego Disney license, with her Alice and Wonderland builds absolutely packed with detail and interesting techniques. Together we are currently expanding our personal collaboration called the ‘Kamanari Skyway’ – a mashup of Steampunk, Sky Pirates and Japanese influences – which allows us to play around with floating island techniques, airships, stranded goats and more. 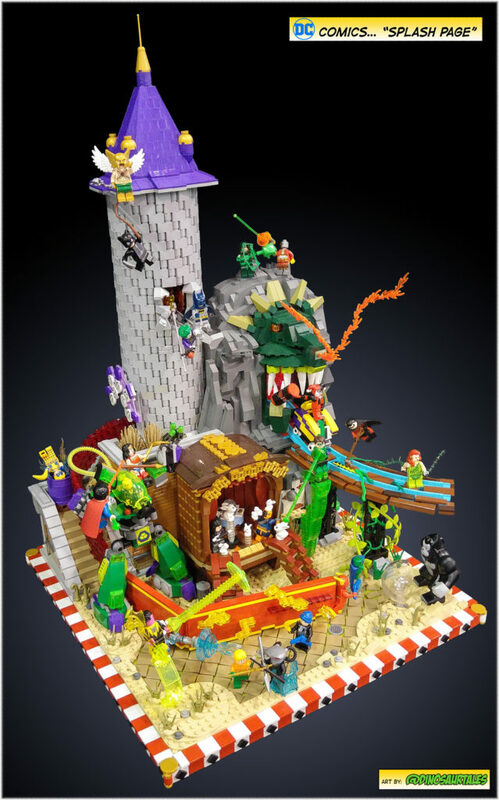 We sincerely believe everyone can have fun with Lego as there’s so many entry points. It all starts when you’re a kid, after all. Build it big, small, colourful or classy. 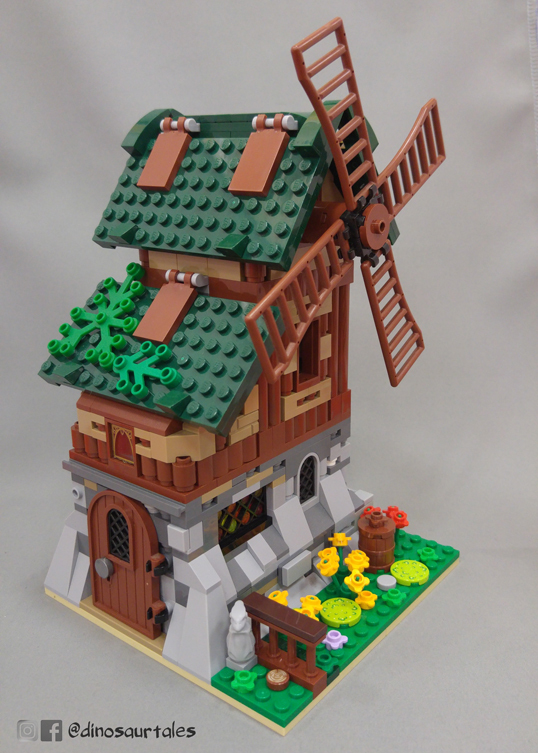 Our advice is that Lego can only be as challenging as you want to make it: Everyone has their own unique way of enjoying the Brick. And even if it takes years to complete a build? The final result will be always be worth the investment. 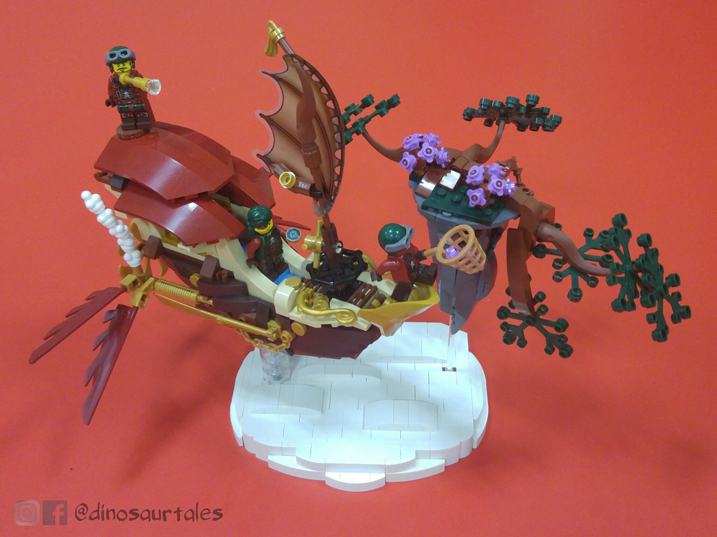 Today we post many of Lego builds and creations around the place, so if you’re looking for more of our work we have Instagram, Flickr and Facebook accounts under our ‘building/stage name’ of Dinosaur Tales, coined after one of Jade’s first Southern Brick’s MOC Iron Builder entries (pictured above on the left). 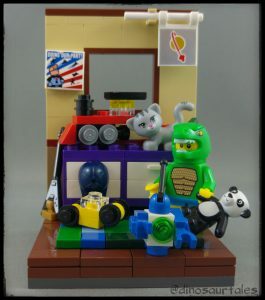 So please give us a like, follow or even a shout out in the comments below if you dig what you see, and we look forward to many more years of building great eye-candy for ourselves, the Southern Bricks Community and all Lego fans of all ages everywhere! Now if you’ve bravely traversed this far through that positively thick jungle of words above… we’d really love to hear your story! 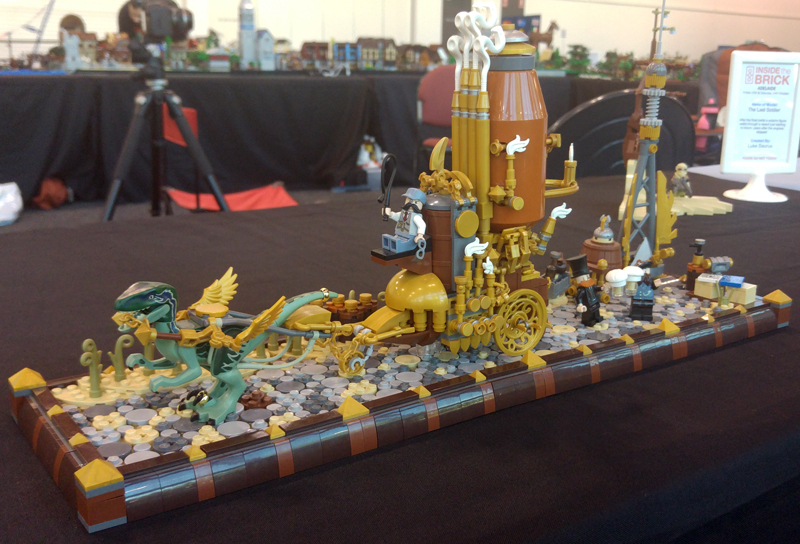 Each AFOL (and TFOL) we’ve met along the way has had their own unique way of finding their way ‘back to the Brick’ from what’s commonly called the Lego Dark Ages. 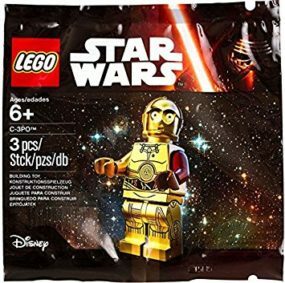 So if you have the time, please share your own Tales from the Dark Ages, and go into a random prize draw for a rare Lego Star Wars: The Force Awakens C-3P0 Minifigure prize donated by Dinosaur Tales! Was there a single event that made you rediscover your passion for the hobby? One particular set? Or two? Did you come across your old Lego as your parents were throwing it out? Or are you just here for the Minifigs? 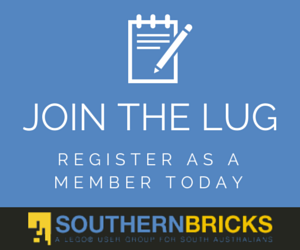 To be eligible enter your comment below, be a South Australian resident and be sure to have liked Southern Bricks Lego User Group on Facebook. Competition closes 1:00 PM, July 1st and will be announced on the Southern Bricks Facebook page. ← Brick-a-laide 2018 Report !